The new Holocaust History Museum's nine underground galleries tell the story of the Shoah from the point of view of the Jews. The chronological and thematic narrative is punctuated by a look into the worlds of Jews who lived - and died - under the Nazis and their collaborators. The exhibits incorporate a wide variety of original artifacts, testimonies, photographs, documentation, art, multimedia, and video art. The new Holocaust Art Museum exhibits the world's largest collection of art created in ghettos, camps, hideouts, and other places where artistic endeavor was nearly impossible. These works reflect the very spirit of the victims and survivors. The Holocaust Art Museum also contains the world's first computerized archive and information center regarding Shoah art and artists. An imposing, tent-like basalt structure that allows visitors to pay their respects to the memories of the martyred dead. On the floor are the names of 22 Nazi murder sites - extermination and concentration camps, transit camps and killing sites - chosen from the hundreds of murder sites that existed throughout Europe. A memorial flame burns continuously, next to a crypt containing ashes of victims brought from the extermination camps. The names and personal details of millions of victims have been recorded on Pages of Testimony, symbolic tombstones filled out by survivors in memory of their loved ones, and preserved in the Hall of Names. 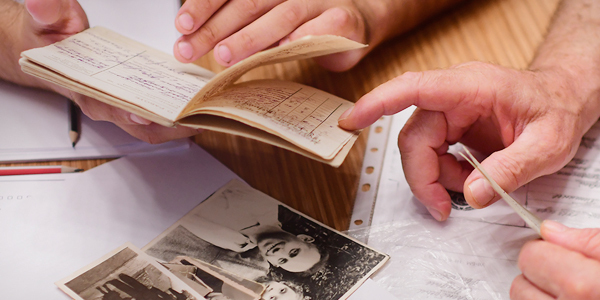 In an ongoing effort to collect more names before it is too late, Yad Vashem asks the public to assist in this sacred mission. This unique memorial, hollowed out from an underground cavern, is a tribute to the approximately 1.5 million Jewish children who perished during the Holocaust. Walking through the memorial, the visitor will hear the names of murdered children, their ages and countries of origin in the background. The Learning Center allows visitors to explore historical, thematic, and moral dilemmas and issues related to the Shoah. Through directed and independent learning, computer stations provide access to a wide range of information from internationally recognized historians, philosophers, and Yad Vashem's knowledge base. The Learning Center is open to organized groups, independent groups, and individuals. The new Synagogue is a fitting place for visitors to say Kaddish for departed loved ones, for private prayer, communal worship, and memorial services for lost communities. Ritual artifacts rescued from destroyed synagogues in Europe adorn the building. The Holocaust is a defining event in the history of humanity. The Nazis’ attempt to annihilate the entire Jewish population still resonates throughout the entire world. Yad Vashem, the Holocaust Martyr’s and Hero’s Remembrance Authority, has the responsibility of preserving the memory of the six million victims of the Holocaust. Yad Vashem offers a wide range of options for learning about the Holocaust. The vast complex offers many tools, including tours and conferences, through which visitors can explore and experience the Holocaust in a meaningful way. Admission to all sites on the campus is free of charge. Submit a group reservation through the Online Reservation System or download a Group Visit Reservation Form – manually completed forms should be faxed to the Reservations Center, no later than two weeks prior to the planned date of the visit. Reservation of the visit is based on available space in the Museum and a confirmation letter will be sent to the group. The confirmation letter must be presented on the day of the visit at the "group desk" in the Visitors' Center. Entrance to the Holocaust History Museum is not permitted for children under the age of 10. Guided tours of the Holocaust History Museum in different languages, led by Yad Vashem’s staff of professional guides. Guided tours of the Museum with emphasis given to a particular topic – rescue and resistance, the fate of children, women in the Holocaust, doctors and medicine, law and justice, etc. Guided tour of the new Museum complex, including the Synagogue, Holocaust Art Museum, Exhibitions Pavilion, Visual Center and Learning Center.